Grayson Ridge offers one and two bedroom apartments. Please select a unit that you like, fill out your name, number, and email, and you will be redirected to our quick and convenient online application. Not seeing what you're looking for? Availability changes every day, if you tell us what your needs are we’ll call you when availability changes. All room dimensions are approximate and may vary by apartment. Grayson Ridge offers pet-friendly one and two bedroom apartments for rent in North Richland Hills, TX. Floor plans range from a cozy 518-square foot 1 bedroom, 1 bath, to a roomy 1,025-square foot 2 bedroom, 2 bath home. You’ll find stylish features throughout our spaces, like two-tone paint, crown molding, and brushed-nickel accents. Some of our homes offer built-in bookshelves and cozy fireplaces. Each apartment comes with washer and dryer connections or an in-home washer and dryer to simplify laundry day. At Grayson Ridge, our apartments offer the features and convenience you desire. Choose from four floor plans to find the apartment that’s right for you. Open floor plans maximize your living space, and wood-style flooring is both beautiful and practical. 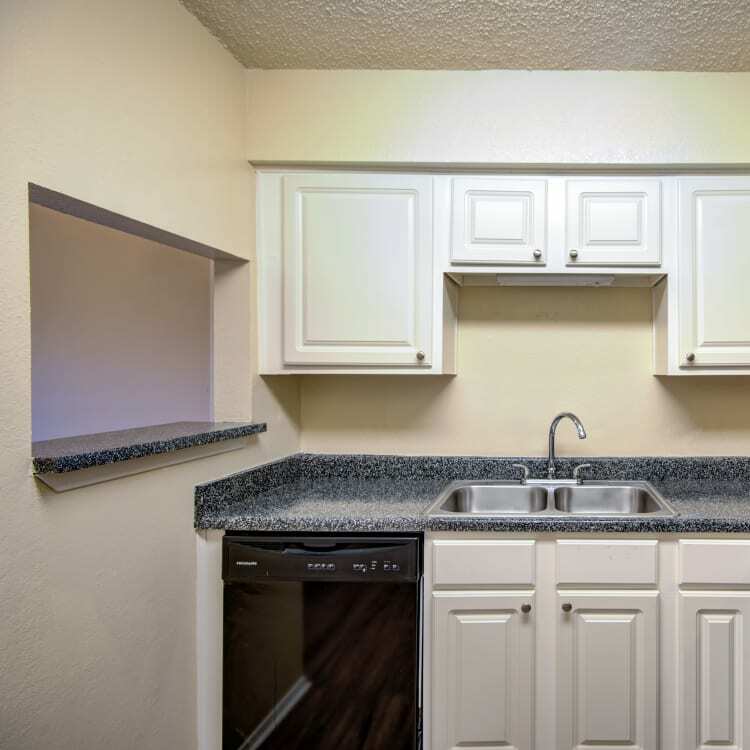 Each apartment includes a handsome, fully equipped kitchen with granite-style countertops, crisp-white cabinets, and modern black appliances. A patio or balcony extends your living space outdoors. Select the floor plan that best suits your lifestyle, then get in touch to schedule your tour today. We look forward to showing you around our pet-friendly apartment homes in North Richland Hills.